Spoiler alert: it was very wet. Hi! 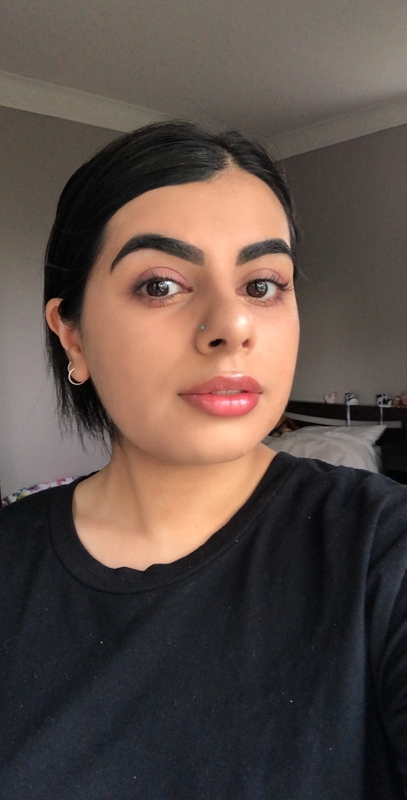 My name is Isha and over the past year I've been trying to improve my makeup game. That includes testing out new products and trying to find things that work for my skin type. FYI I have combination skin – I love to moisturise my face as it can feel dry, especially in the mornings. On the other hand I have an oily t-zone, which means that my makeup can start to look shiny around lunch time. While aimlessly browsing the internet one day, I stumbled onto this Pinterest recipe for a natural setting spray. I LOVE the idea of making your own natural makeup products, especially since so many of them can be incredibly expensive and clogged up with chemicals. Plus I've used aloe vera gel in the past to soothe sunburns, so it sounded like it'd a refreshing product for the skin/face. It seemed simple enough, so I decided to make my own version to see if it would actually work. I did end up modifying the measurements from the original recipe. That's because when I made my first batch, it was way too thick to be used as a spray. I also researched other DIY setting spray recipes and decided to add witch hazel to my version. Once I had stirred the mixture together and poured it into a spray bottle, it was time to test it. 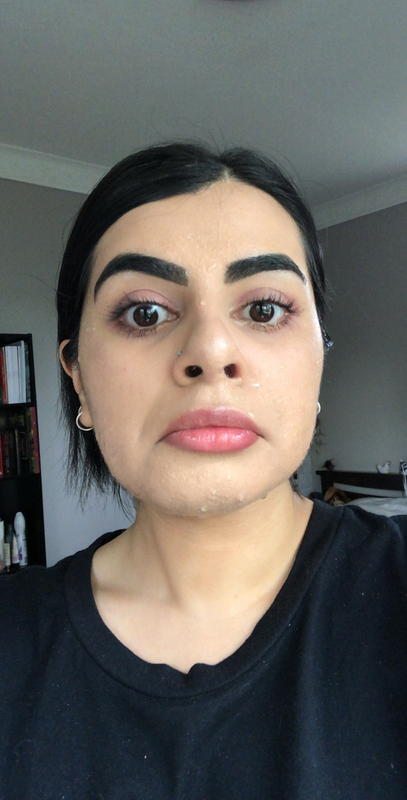 Here's me just after applying my makeup and while testing the setting spray. I basically just spritzed it all over my face. My first impressions were that the spray felt incredibly wet on my skin and didn't dry easily. 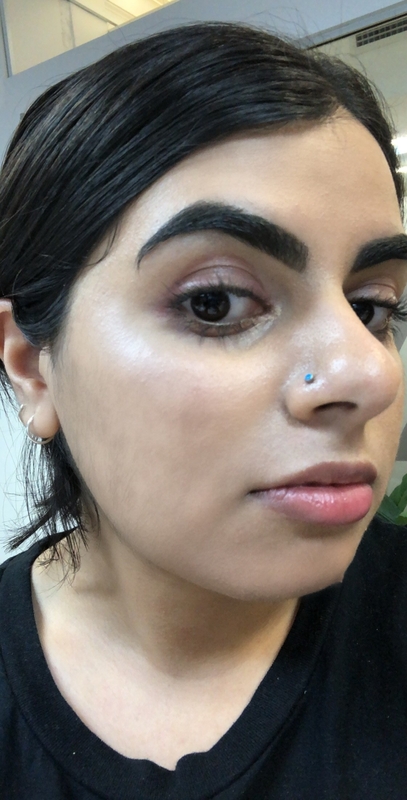 But once it did, it gave my face a dewy glow which I really liked! When I say it didn't easily dry, I mean it. My face was DRIPPING wet. I first tried using my hand in a fanning motion, but when that failed, I resorted to gently patting away the excess with a tissue paper which seemed to work. But the real test was seeing if the spray could help my makeup last the entire day. Unfortunately by lunch time, I was already looking shiny. 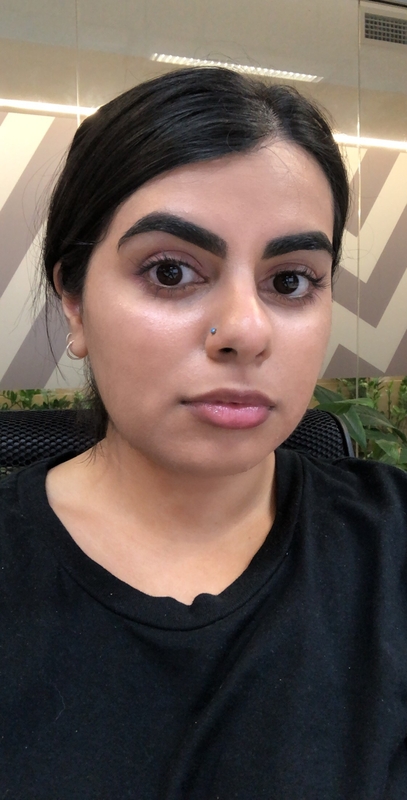 Even though I got compliments on how my skin looked when I walked into the office, I was already feeling the oiliness a couple hours later, which was a shame! And by the end of the day, I couldn't wait to remove the makeup off my face because it felt incredibly heavy and oily. It was also very humid on the day I tested the product which definitely contributed to the general ugh feeling, if you get what I mean. So, my final thoughts? This DIY aloe vera spray didn't work well on my skin at all and I probably wouldn't use it again. - The proportions of my mixture were off. - The spray bottle I used didn't disperse the spray well enough resulting in a wet product that didn't really "set" my makeup. - This is one of these Pinterest recipes that seems great but don't end up working. I'm more leaning towards the second and third reason. I don't think the nozzle on the spray bottle I used dispersed an even enough mist that you get with regular setting sprays. Aloe vera gel was also a tricky ingredient to work with – it's thick and heavy, which probably didn't make it the best ingredient for a setting spray. Oh well, better luck next time. 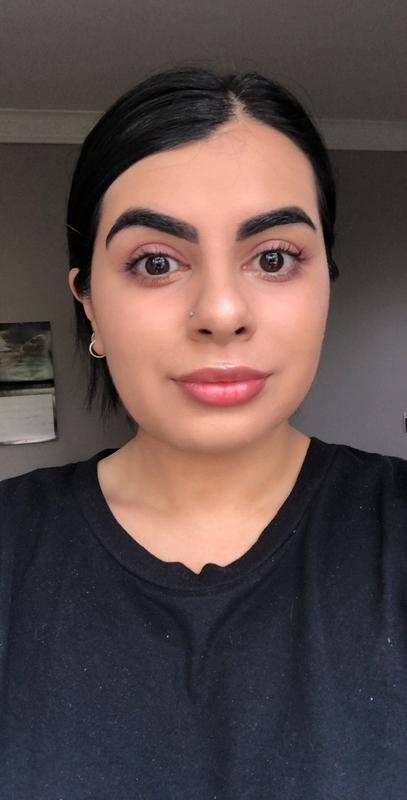 Let me know your experiences with DIY makeup products in the comments below!